There is a plethora of great information on the “net”. For your convenience we have listed some of our favorite sites. We see this this page as continually under construction. Just send us some of your most productive web sites and we will share them with your fellow members. Some of these links may be duplicated under the Government Links page but it is better to have them on mulitple pages than none at all! First Gov. This is the official Government Gateway for business, citizens and government employees. Direct links to most any government program, agency or activity that’s worth tracking. They have an expansive email newsletter page where you can stay current on the topic(s) of your choice. Enterprise Florida. This organization is Florida’s business ombudsman. The site contains a wealth of information on what is going on and what the state offers. US Census Bureau. If you need to research people, businesses, trends from the big picture perspective, try here. Public Libraries. Have your Library Card at the ready as some features require this as a password. Try the excellent array of resources under Business Links. The Research USA remote service is an excellent tool to research business demographics, get detailed information on individual businesses or find people. Click the link for your county (Hillsborough or Pinellas) and get ready for some great research resources. Reference USA. Want to jump directly to Reference USA without sifting through the library websites then hit the following links but you will need your library card for access … Reference USA Hillsborough … Reference USA Pinellas. Pinellas Economic Development. Looking for more local demographics, try this excellent website. Also, don’t miss the GIS Assistant function if you need to get a visual picture of the resources in the area matched to demographic profiles. 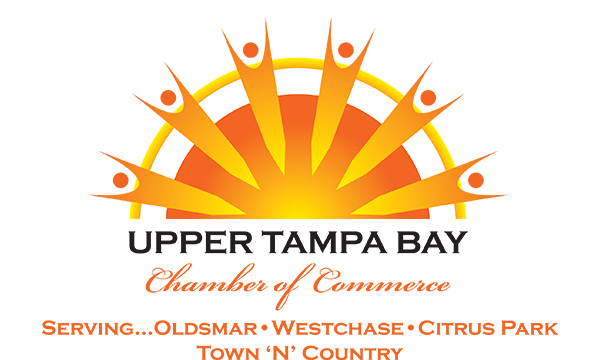 Hillsborough County Small Business Information Center. The SBIC serves as a clearinghouse of information for potential or existing small businesses and offers financial and technical information. The center provides free, individual and confidential consulting, workshops, seminars and general information on marketing, the food industry, getting your business online, QuickBooks, SBA loans and programs, bookkeeping, local government vendor applications, the bidding process. Minority/Women Certification forms, vendor directories and more. CEO Express. This is simply the One-Stop shop for business executives. This site provides connectivity to an amazing array of resources across the spectrum of business planning, intelligence, reference and personal needs (weather, travel, etc.) If it’s not here, you don’t need it! US Copyright Office. If you’re inventive and need to protect your idea/invention, this is a good place to start. Internal Revenue Service. Small Business and Self Employed One Stop Resource – This section offers a broad range of resources across federal and state agencies, as well as industry/profession specific information for self-employed entrepreneurs, employers and businesses. Florida Department of Revenue. Looking to do business in Florida, want current information on state tax laws, need a form? This site has it. Service Corps of Retired Executives. Could you benefit from the services of an experienced personal mentor at no cost? Give SCORE a try, really a great bunch of folks. Entrepreneur. Looking for opportunities to work indenpendently? You’ll find some food for thought here. Small Business Administration. Lots of good information on SBA programs.